NSCA has announced its new Member Advisory Council (MAC) roster. 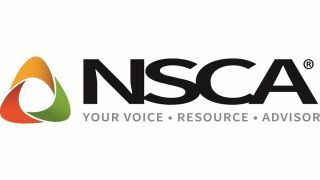 Formed two years ago to connect NSCA members to a trusted group of professionals who can share business insights and best practices, the organization recently re-evaluated its members and partnered with seven new companies. The new MAC consists of AVNation, a digital media outlet covering the AV industry; CharTec, which provides sales, marketing, and other services; Corporate Sales Coaches, a firm specializing in helping companies improve their sales, leadership, and customer service; Cronin Corp., which helps integrators create supplier programs and partnerships to enable growth; Enterprise Performance Consulting, a business and management consulting firm; Navigate Management Consulting, a consultancy specializing in middle-market AV companies; and Stiernberg Consulting, which provides industry-focused business development services.